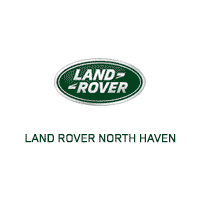 If you are in Branford or Madison shopping for a luxury SUV with unmatched off-road prowess, consider a Land Rover lease at Land Rover North Haven. Our inventory of new Land Rover models make it easy for you to find a Range Rover lease, Land Rover Discovery lease, or Land Rover Discovery Sport lease with low monthly payments that work for you! You are worried about making a commitment to a specific model for more than 3 years. You like keeping up with the latest Land Rover technology like InControl®. You prefer the typical lower monthly payments of a lease. If any of these resonate with you, visit the finance team at Land Rover North Haven to learn more about your luxury leasing options in North Haven. We are dedicated to customer satisfaction and can help you set up that Land Rover Discovery Sport lease or Range Rover Evoque lease that you are looking for!